Fluidmaster 550 popular universal cable operated flush valve, complete with dual flush button. 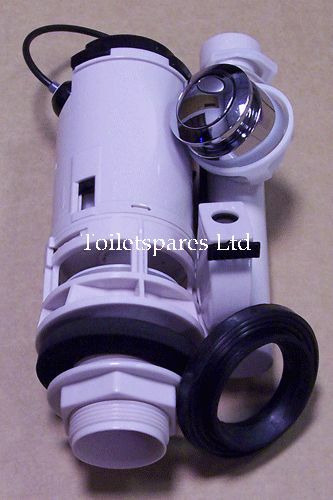 Comes as a 1.5" outlet with a 2" centraling washer so is compatible with either cistern outlet size. Fluidmaster are one of the most common brands in the UK market place and have a large range of flush and inlet valves. This version has the longer 550mm cable - if you want the short version it's TS193.